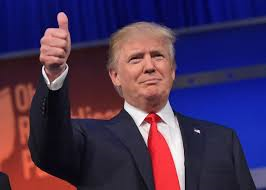 You have passed various judgements on Donald Trump, unless you have met him personally one can only assume that you have done so via trial by media, who sensationalize and misrepresent pretty much anything and any one to sell media. You ask how a person can reconcile their Christianity with a vote for Trump? Along the same lines, how can a person reconcile their vote for a Democrat candidate that is pro Gay Marriage, Abortion and Euthanasia? Does Donald Trump's own Presbyterian denomination not encourage and endorse that type of Liberal Theology? Ben Carson is no fool and he and his wife are committed Seventh-day Adventists. This morning I heard that he has given Trump his personal endorsement. Considering that Ben Carson has met him personally and knows first hand who Donald Trump is, maybe it is then possible that the issue is not quite as black and white as you are trying to make it out to be? Pete. Will you come to America and run for president? I'm still looking for a candidate to support. Guess I will have to look beyond politics to the spiritual war. If we win that battle, politics will be transformed.